Anybody who is financially knowledgeable has heard of a credit score and understands that it's better to have a higher credit score as opposed to a lower credit score. not only banks will look at your credit score but employers, landlords, and others may look at your credit score before they might lend you money or employ you. If your credit score is too low you may not be able to get a loan, the job you want or live in the home of your choice. So that is something to think about. Your life could be different with a good credit score. Credit scores are determined using different criteria. It basically comes down to how much you earn, how much you owe and when if you pay your bills on time. For example, if you are late paying your bills(like your phone bill), the phone company may report it to any combination of credit reporting agencies (not all creditors report to the same agencies). When this happens, you will get a mark against you on your credit report. And this, in turn, has a negative impact on your creditworthiness. Having too many credit accounts at any one single time. Closing accounts that have a remaining balance on them. Too many open accounts, regardless of whether or not they have a balance. Lack of a credit history. Total outstanding debt that is too high. Having bankruptcy on your record. Not making payments on time. Not enough of a credit history. Having too much debt for your income (commonly referred to as the debt-to-income ratio). Closing too many accounts within a short time frame. Utility bills that go unpaid. Each of the above things can raise a red flag on your credit report. How much any single one of these affects your credit score is hard to say, as each agency uses a different formula for calculating their score. At the very least, the things on the list don't look good. The more things you are doing on the list, the worse your credit score will suffer. Okay, now that we got the list of things to avoid out of the way, it's time to get proactive. The good news is that there are things you can do that have a positive effect on your credit score. On top of that, they will also save you money in the long run and improve your overall state of financial health. Only apply for credit when you need it, and do your best to space out when you apply for new credit accounts. Buy things with cash instead of credit. Stick to a budget so you don't spend more than you earn. Pay more than the minimum due on your credit cards. Build up a savings account so you have money for emergencies. 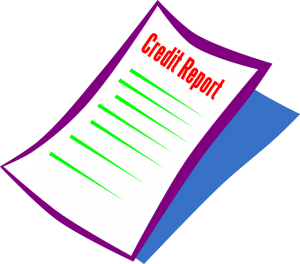 Check your credit report for accuracy and make corrections where needed. Correct errors on your report promptly.